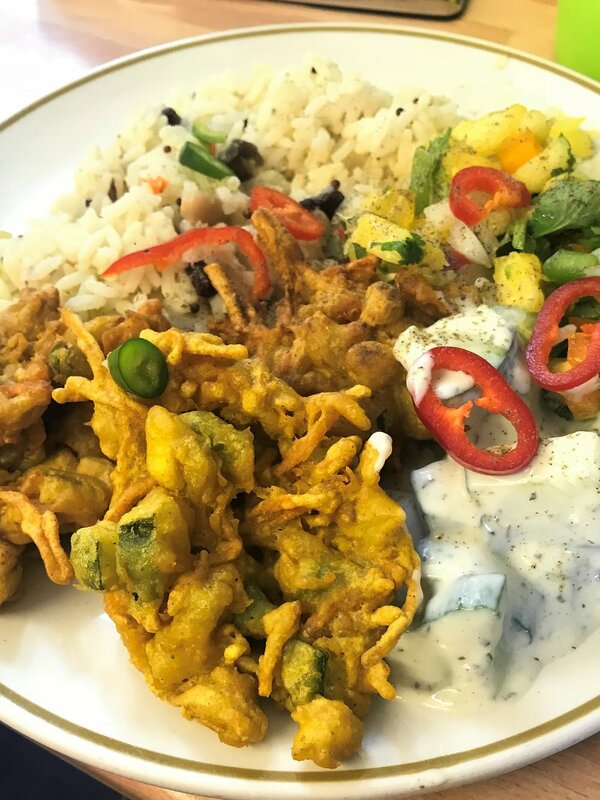 Cooked by volunteers, we offer a healthy, fully vegan lunch every weekday at 1pm (costing 60p for a small portion and £1.50 for a large). We work with other charities such as Fare Share and the Food Waste Collective who intercept perfectly good food from across the city that would otherwise be heading for the landfill. Our creative cooks then work wonders to produce a tasty balanced meal, which for some of our centre users may be the only hot food they eat that day. Allganics Wholefood Cooperative has been running continuously for over 15 years, providing high quality organic, vegan and GM free foods, cleaning products and toiletries at the lowest cost possible to BUCFP regulars and the general public. We operate as a non-profit making co-operative run strictly by volunteers. We are a separate entity from BUCFP; however, as individuals we have the same status at BUCFP as volunteers in other areas. Serving low cost drinks and run by our team of tea bar volunteers (although sometimes it is self service). It is open from 10-4pm each day, with a break at 1pm whilst we serve lunch. Already this year we have run courses on bread making, both with the children in the playroom and in the main centre. There are plans to run more courses throughout the year, cooking on a budget, eating seasonally from the allotment, gluten free baking are a few examples. Other courses can be offered on request if there is the demand for them. The BUCFP Organic Community Allotment has been running for over 6 years, since volunteers asked for one to be started. We negotiated to get one seriously overgrown plot next to two with badly depleted soil, which now make our lovely site at 11-13 Walpole Road (see map below). Today it is fertile and abundant, producing over 60 varieties of edible and medicinal fruit, veg, herbs, salads and flowers. Drop-in work sessions are every Monday starting at 1pm. Newcomers are encouraged to contact us before their first visit so we can expect you and you don’t get lost. You don’t need any skills or experience in advance. Volunteers choose how long to stay, and what kind of jobs they want to join in with, though typically the session runs till 5pm. Some people only want to dig, others stick to picking fruit and veg and keeping the tea things tidy. We share a light lunch mid afternoon always including delicious fresh salad. As well as learning, producing food and socialising every week, we run occasional free training days too, such as caring for wormeries, culinary herb growing, making a hot heap. All are welcome, although sadly we don’t have wheelchair access as the whole site is on a slope via a steep narrow path. To see workshops coming soon go to the latest news page. Like the Centre as a whole, we pride ourselves on being an LGBT safe space and on having a really diverse mix of people working together, including a good gender balance. Many regular volunteers come to get quality advice for their own gardens and allotments, as well as those who come because they don’t have one!